It’s no secret the restaurant experience is changing. As technology plays a larger role in every part of the restaurant industry, consumers will see a growing shift toward automation. The trend toward higher efficiency and optimization of the experience is already emerging in the form of various applications tied to virtually every element of the dining experience. From the apps that allow you to make a restaurant reservation by tapping a few buttons on your phone, to the transportation and ridesharing apps to get to the restaurant and the multitudes of delivery apps to bring a meal directly to a doorstep, apps are already giving diners more flexibility than ever before. But, apps – and the technology behind them – can also provide incredible new insights into restaurant operations and create customer service efficiencies in a more streamlined and profitable way. Apps focused on increased customer satisfaction are already providing advanced solutions. But, one app alone cannot create a seamless experience. To close that gap, communication between the restaurant, the app, and the customer is critical. Take delivery, for example. Although orders can remain consistent throughout the day, all restaurants inevitably experience surges across different periods. A pizza shop in a busy downtown area is likely to experience higher volume as dinner hours begin. That same surge may exist at the full service restaurant around the corner, but it will likely lighten before 10 p.m. The pizza shop, on the other hand, could see a second surge in the late evening hours. As the sun comes up, and its surge is over, the rush on a local breakfast eatery is just beginning. App surges are similar, often caused by the same ebb and flow seen in a restaurant’s brick-and-mortar location. This can lead to kitchen demands so high that backups occur and customer service is impacted. Balance is vital, and without the kitchen delivering information to providers on order status, customers are left in the dark as they become increasingly impatient and agitated. Improved communication can help solve this problem. However, historically, the various pieces of technology needed to achieve that improvement operate independently, limiting the role data can play in streamlining operations. By enabling a restaurant’s point-of-sale system to speak with other pieces of technology, restaurants can better control a diner’s experience – both in-restaurant and through delivery. Currently, operators have access to analytics to react in hindsight. Armed with real-time analytics, they can engage customers quickly and solve problems more responsively. Connecting those PoS systems, apps, and ordering systems with each other is now possible, but very few of the systems are designed to integrate with each other smoothly. That’s where the concept of a universal access point – known as an application program interface, or API – comes in. By utilizing a single connection point for all of the technology powering a restaurant’s operation, operators can ensure a seamless experience. This is the future of dining: endless and exciting possibilities when all elements of the future dining experience are interconnected. Consider this scenario in the not-so-distant future. It’s 3:00 p.m. when you and your spouse decide to head out for dinner. You begin by searching on a reservations app for hot restaurants nearby that have an open reservation. You book the reservation, and the wheels are in motion. Because you’ve set up a universal system, your phone has already booked a ride-sharing car for you to ensure you get to the restaurant on time. The restaurant’s PoS system also now knows you’re coming and can predict what you might order based on your previous preferences saved through your reservation profile. That tells the kitchen what products and ingredients it is likely to need for the evening. After your meal, payment can easily be accomplished from your phone, eliminating the wait for a bill. Of course, Uber already knows the time you’re likely to be done with dinner and can have a car nearby waiting for your trip. The entire experience is streamlined and improved for the customer – and for the restaurant – because of the interconnectivity of communication between systems. Open APIs can also provide new solutions in the event of a glitch. In single solution systems, glitches, no matter how small, can cause delays for every single customer awaiting their meal. Activating multiple access points through a universal API like Omnivore provides streamlined, real time analytics that helps systems anticipate and prevent those problems before they happen and to quickly solve them if they ever do. A clear understanding of their customers will give restaurants an advantage over the competition. 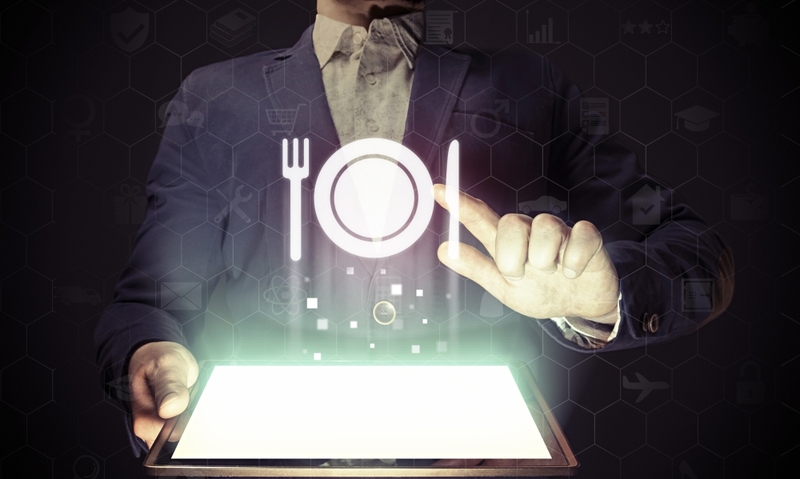 With detailed analytics, it can be used to make restaurant operations more effective and ensure that the dining out experience of the future is better than ever before.